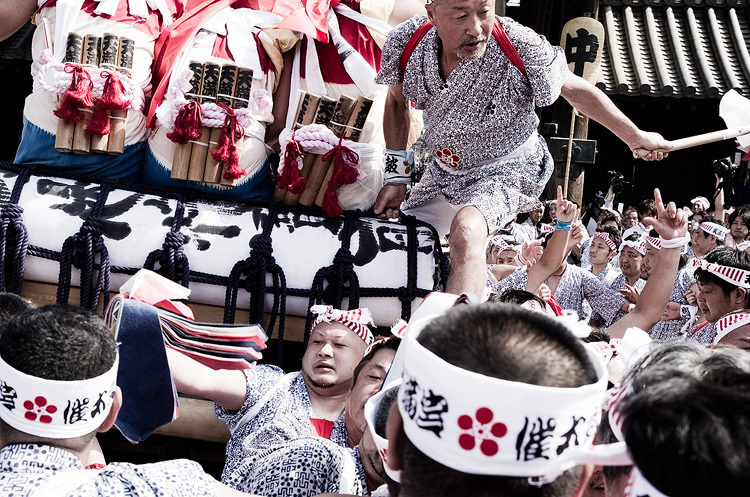 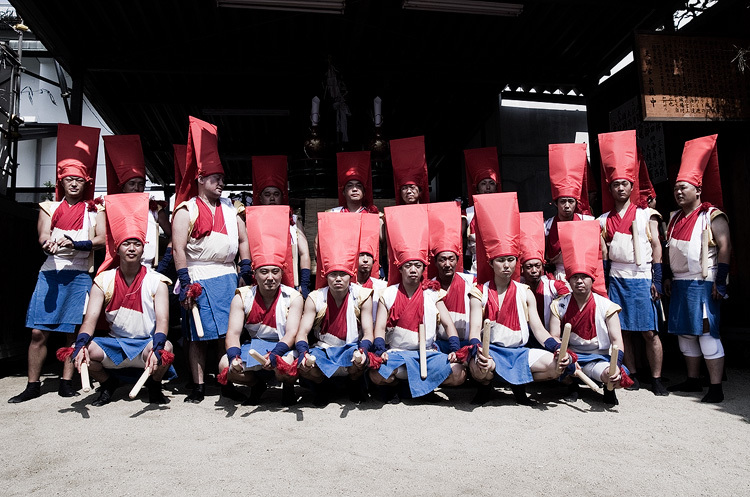 Tenjin Matsuri is a huge festival that takes place in Osaka. 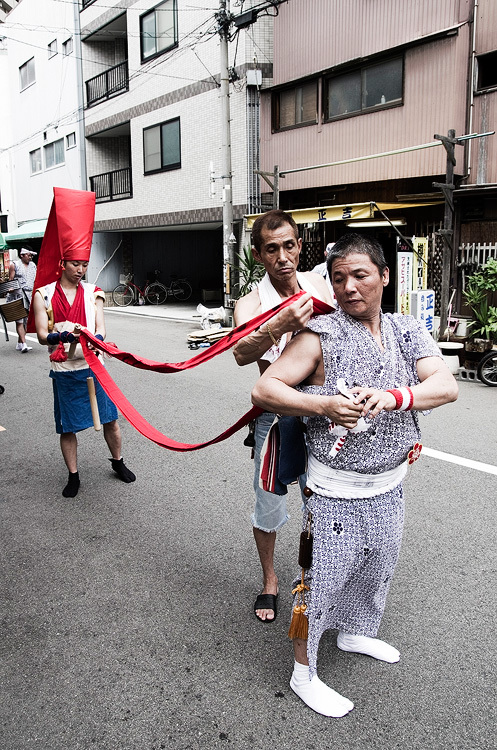 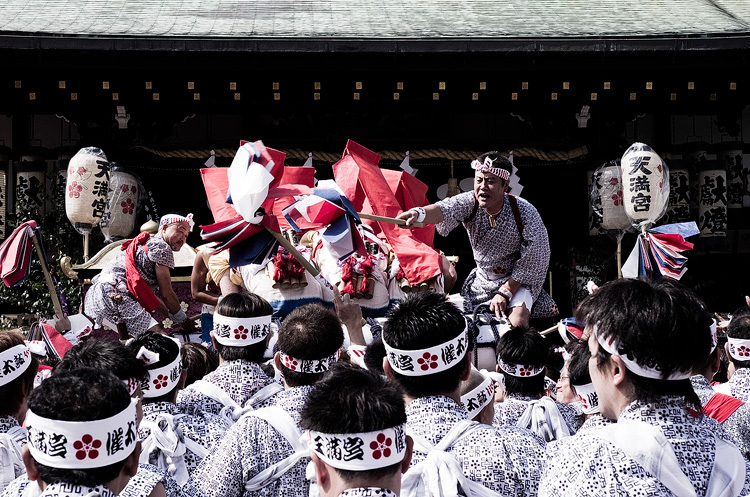 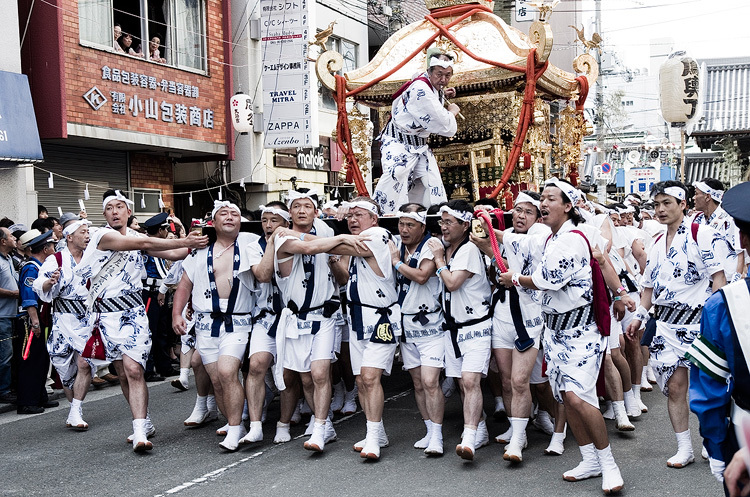 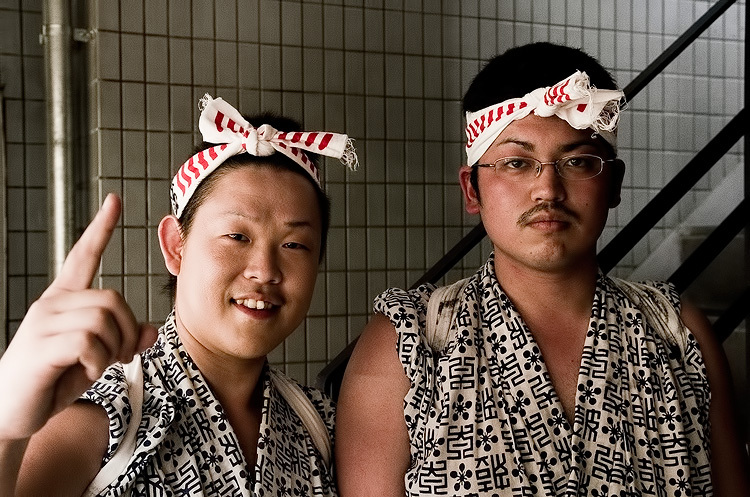 It is one of the three biggest festivals in Japan, with a history stretching back over 1000 years. 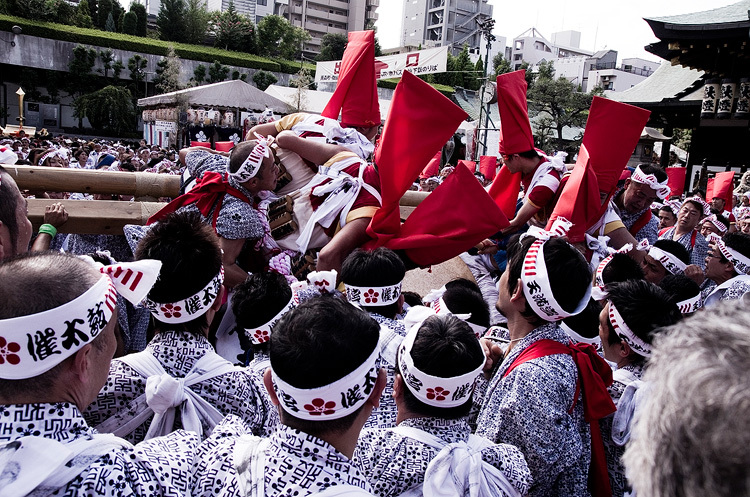 This year I was lucky enough to get an armband that allowed me entry to the Tenmangu shrine before the main procession. 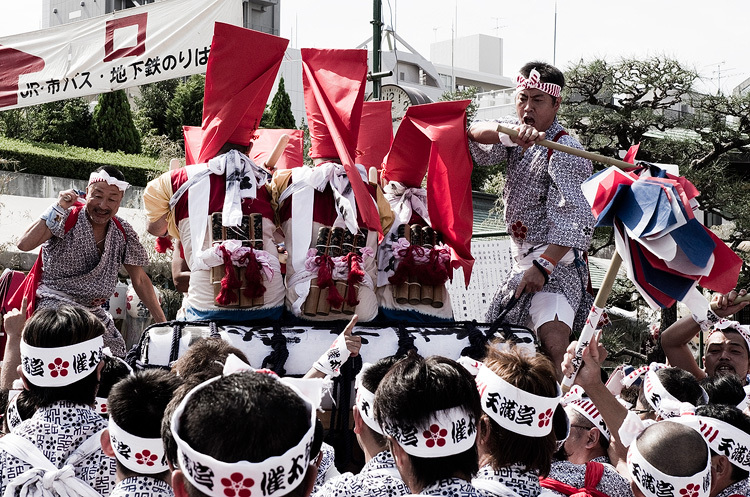 At the start a float with a large taiko drum is carried around the grounds of the shrine and tipped violently from side to side. 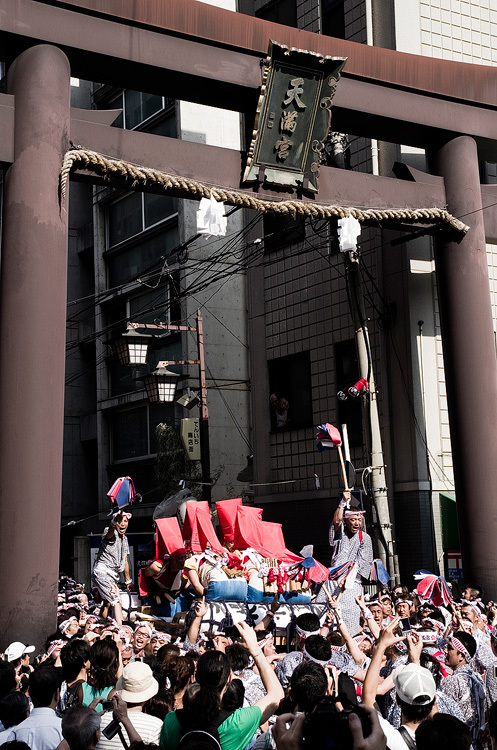 Pretty difficult to take photos with that thing coming at you but it was fun nonetheless! 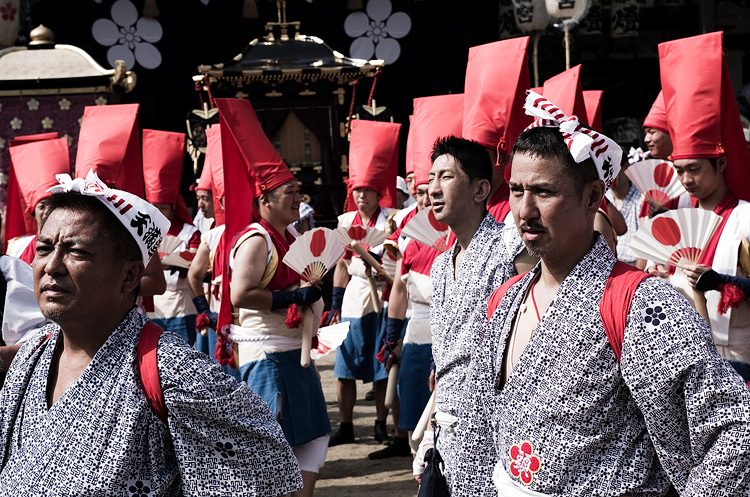 After that the 3,000 people taking part march around a 4km route from the shrine before the festival culminates with a boat procession along the Okawa river and fireworks. 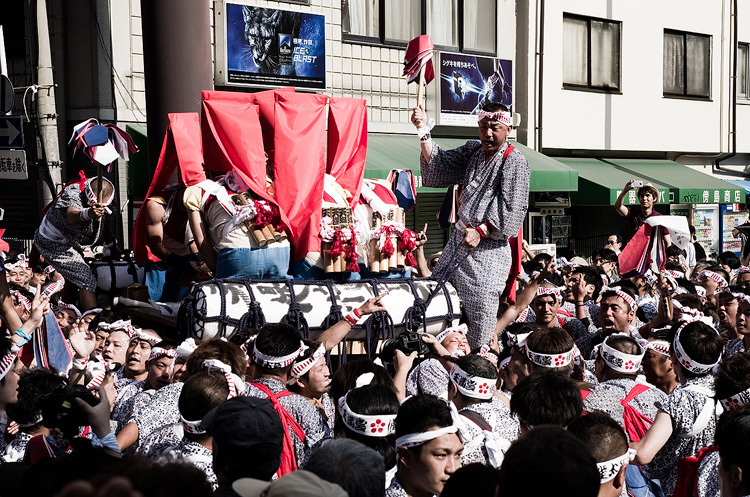 I decided to give the crowds a miss for that part and watch it from my friends roof top. 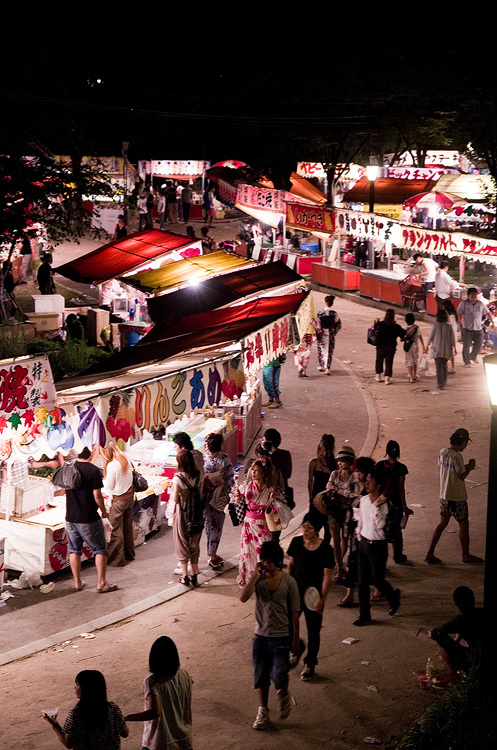 Tenma locals out collecting donations.